wooden stake and string installation. 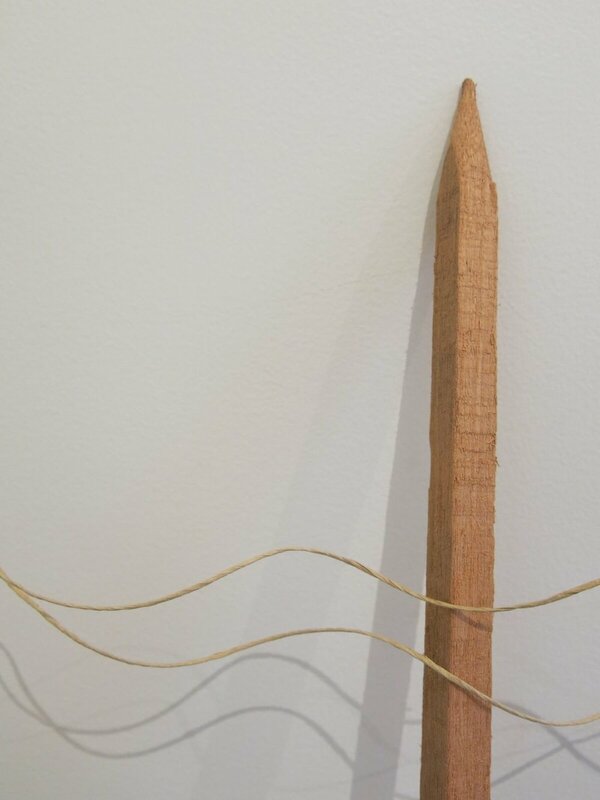 exhibition shot, wooden stake and string installation detail. paper jute on board, 55 cm x 25 cm x 4 cm. paper jute knots on board, 25 cm x 25 cm x 4 cm. paper jute on board, 25 cm x 25 cm x 4 cm. 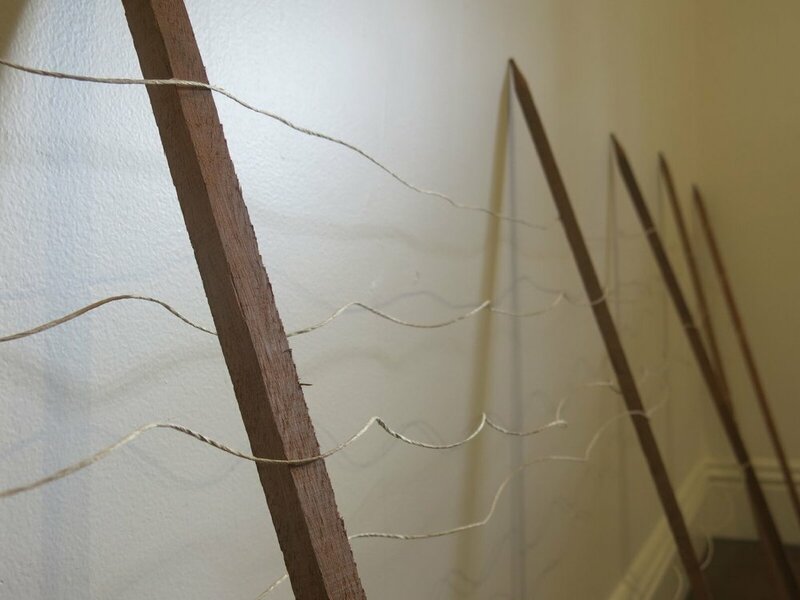 paper jute and wooden string installation. 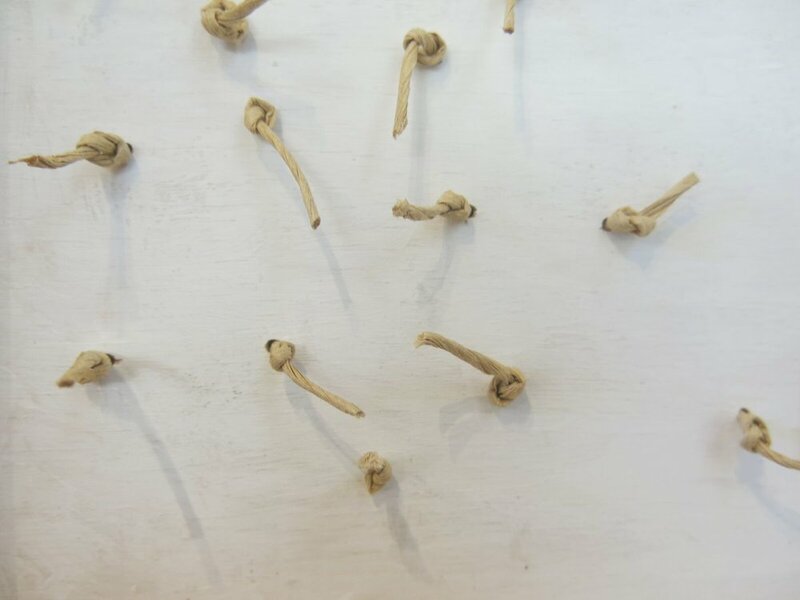 detail shot, paper jute and wooden stake installation. Paper jute and wooden stake installation. Installation shot, Tess Mehonoshen Door Blockade I, concrete, clay and iron oxide fabric installation. ‘Residue’ explores that which remains behind after a core is lost. 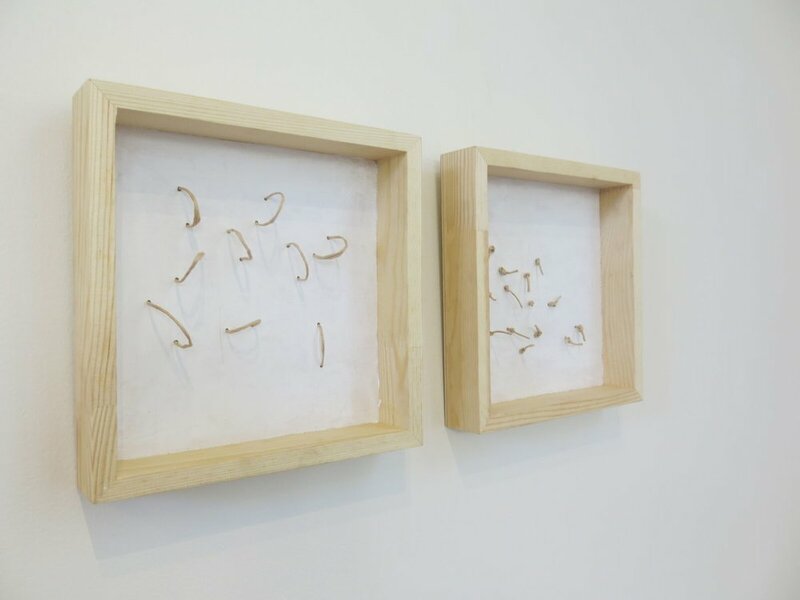 Brisbane based artists Ally McKay and Tess Mehonoshen depict a delicate but prevailing determination to rebuild and plough forward through loss, using material and spatial relationships to convey intimate experiences. 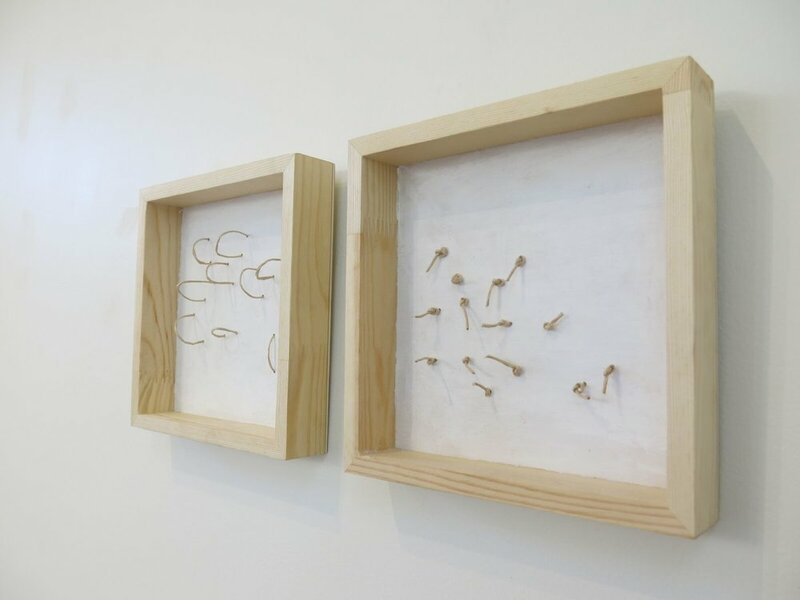 Both artists share an affinity to material processes, working with found and sourced materials to create minimal sculpture and installation based work. They draw out the raw potential in their materials, relying on inherent qualities; playing upon and exaggerating strengths and weaknesses to layer meaning within their work. Paying particular attention to the site-specificity of the Schoolhouse Gallery, the artists’ works seek to strike a balance between both hiding within the space, and intruding upon it.